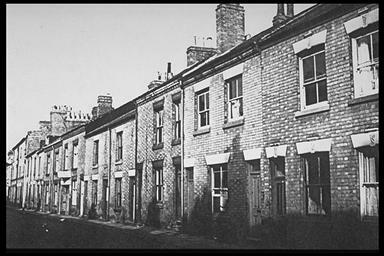 Houses nos; 43-45 Guthlaxton Street, photographed from Framland Street. 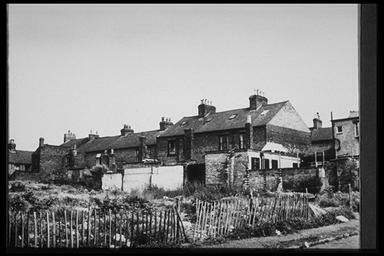 Rear of houses in Guthlaxton Street. Photographed 1965. 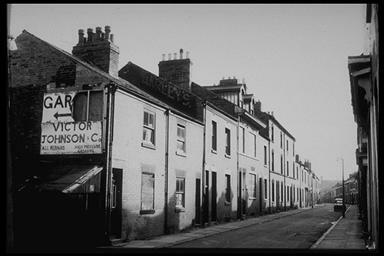 Houses nos; 90-98 Guthlaxton Street, photographed from the corner with Porter Street, 1966. 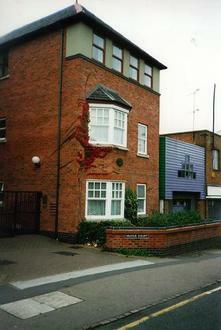 Houses nos; 20-44 Guthlaxton Street. Photographed 1966. Houses on Guthlaxton Street between Framland Street and Oxendon Street. Rank Taylor Hobson is in the distance. Photographed 1965. The section of Guthlaxton Street between Maxfield Street and Waring Street. Photographed 1965. 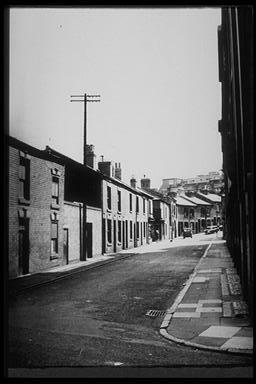 A section of Guthlaxton Street, between Thomas Street and Waring Street. 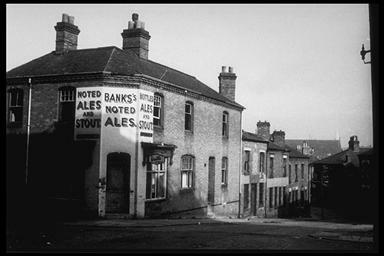 Briggs Tannery is on the right. Photographed 1965. 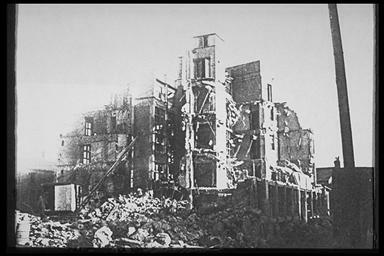 Demolition of Briggs Tannery. 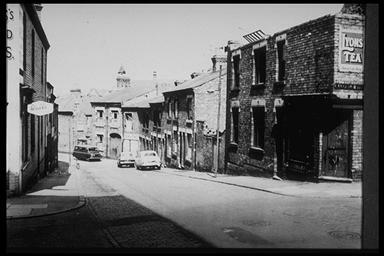 Photographed from Waring Street 1966. 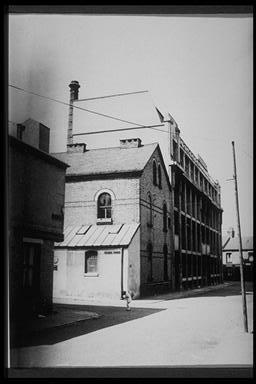 Briggs Tannery, Guthlaxton Street. Photographed 1963. Extract from recollection of Dorothy Woodward. 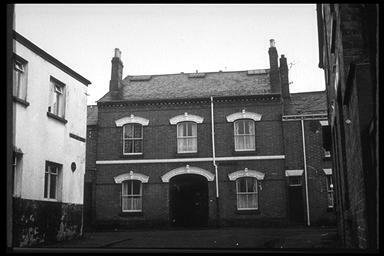 No: 9 Guthlaxton Street, virtually unchanged, visited this house many times as my mother was friendly with the family living there, the Shellards. The eldest but one of the daughters 'coached' me in algebra when I went to Grammar School, and if I remember correctly, recieved 2 shillings a week for this [about 10p today ]. 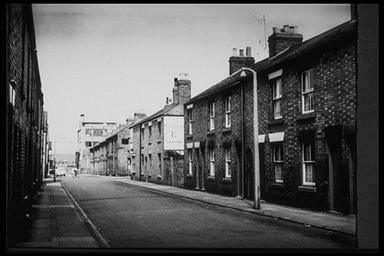 I also had weekly music lessons with Miss Vines, further along the street, but those houses have long been demolished and replaced. Photograph by Dorothy Woodford 1997.